Click the stock for more Time Warner Cable stock data. After months of overtures, Time Warner Cable has formally received a merger offer from one of its main rivals -- one it flatly rejected. Charter Communications (CHTR) on Monday said it sent a letter formalizing a previous discussion to offer around $130 a share, including approximately $83 per share in cash, to merge with Time Warner Cable (TWC). It took Time Warner Cable only a few hours to slam the offer as "a grossly inadequate price." Chairman and CEO Rob Marcus called it "a non-starter" and third in a series of "low-ball" offers. Time Warner Cable restated its willingness to sell at $160 per share, including $100 in cash and the remainder in stock. The latest development in Charter's bid for Time Warner Cable, the country's second largest cable company with more than 11 million subscribers, was first reported by Bloomberg. Charter, the fourth largest cable provider with just over 4 million subscribers, said it has made repeated overtures for more than six months, but that "Time Warner Cable chose not to engage or find out more." That changed in December, when executives from both firms met to discuss Charter's plan. Sources said in November that Time Warner Cable had reached out to Comcast (CCV) for a possible deal. Charter now says it is going to the company's shareholders directly with its offer. "We believe that time is of the essence to prepare our companies to meet the challenges of the industry, which is why we have decided to announce the status of our discussions to date with both sets of shareholders," Charter President and CEO Thomas Rutledge wrote in the letter. Shares of both Charter and Time Warner Cable shares rose slightly in after-hours trading after news of the proposed deal broke. 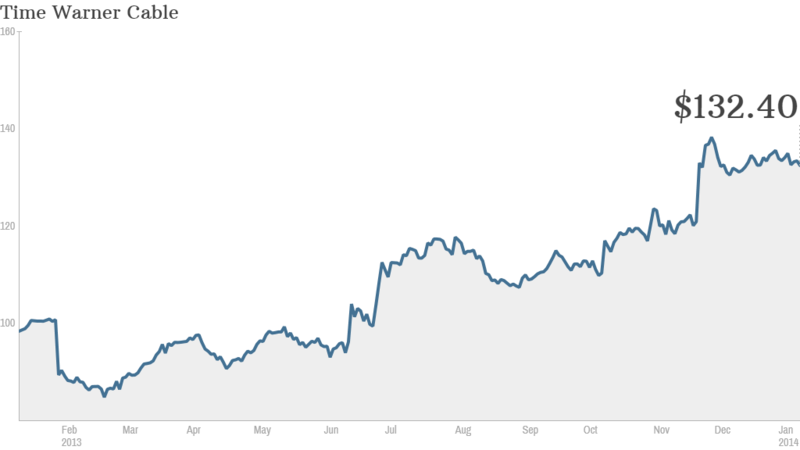 Charter shares are up more than 70% from a year ago, while Time Warner Cable shares are up by more than 30%.